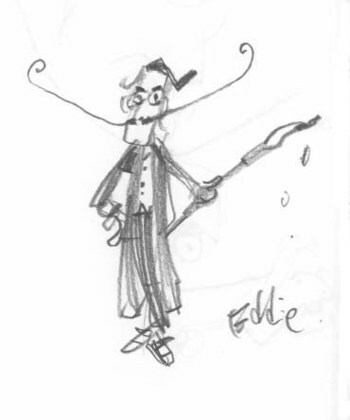 30 posts categorized "EDDIE CAMPBELL, guest blogger"
Diary of an author, waiting. part 20. "Waiting and hoping are the whole of life, and as soon as the dream is realized it is destroyed" -- Gian Carlo Menotti. Read a book and cheer up an author today. Diary of an author, waiting. part 19. But only four more days. Diary of an author, waiting. part 18. He only has to wait another five days. Diary of an author, waiting. part 17. 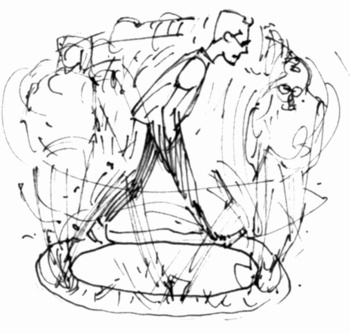 In between collecting quotations on the subject of waiting, the author walks around in circles. Six days till his book, The Fate of the Artist comes out. 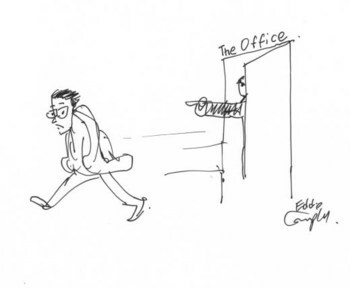 Diary of an author, till the cows come home. part 16. 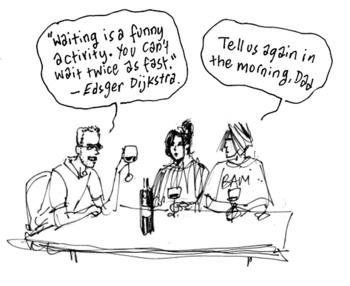 ￼ The author passes his days collecting quotes on the subject of waiting. Only seven days till The Fate of the Artist arrives. Diary of an author, waiting. part 15. 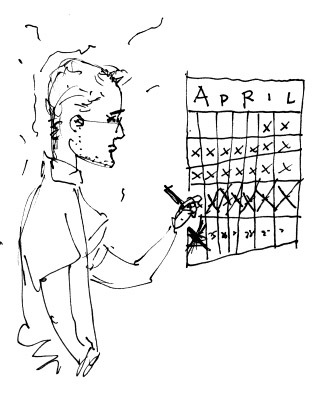 The author checks his calendar. only nine days till his book, The Fate of the Artist comes out. Meanwhile, he reads an interview with his editor at www.comicsreporter.com/index.php/resources/interviews/4610 and makes sure Siegel is saying nice things about him. 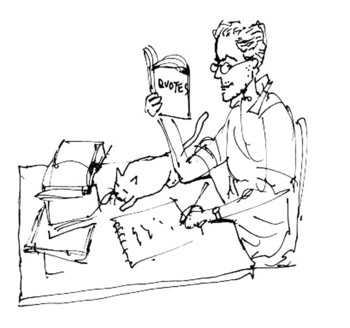 The author draws a picture of himself twiddling his thumbs while waiting for his book, The Fate of the Artist, to come out. it occurs to him that until he tried to draw it, he had never really considered before what that actually means, to twiddle one's thumbs. Diary of an author, waiting. part 13. 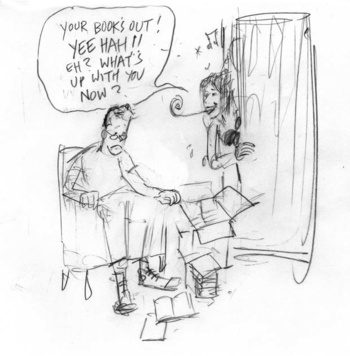 While he's waiting for his book, The Fate of the Artist to find its' way onto the market, the author receives those little cheer-me-ups from his wife, little quotations and such designed to remind him that he is on the right path and that all will turn out right. Alas, it only reminds him of the time he was fired from a 'real job' for daydreaming.